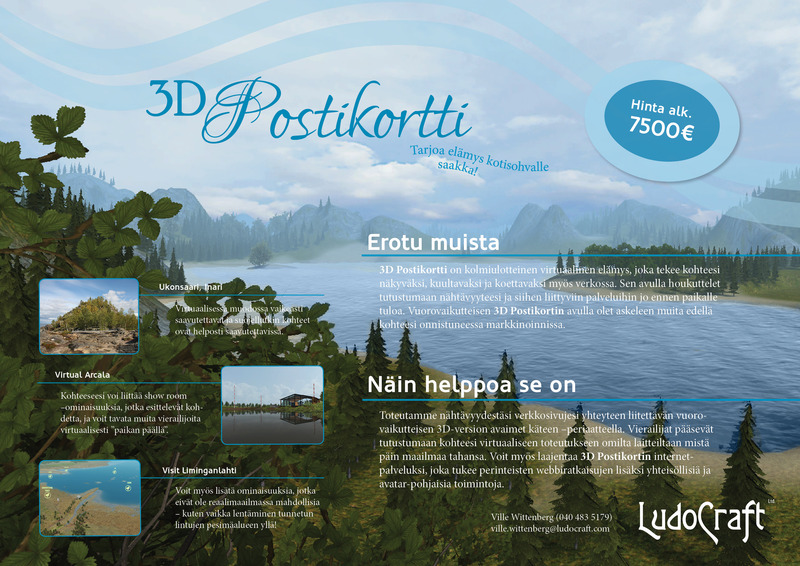 3D Postcard is a three-dimensional virtual experience that makes your destination come alive online. Its appealing looks, pleasant atmosphere and interactive features help visitors in choosing their next tourist attraction. With the 3D Postcard you are one step ahead of your competitors in successful marketing.